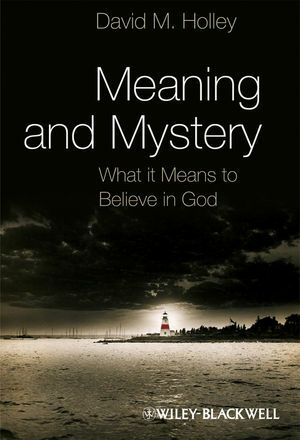 Meaning and Mystery offers a challenge to the way Philosophy has traditionally approached the issue of belief in God as a theoretical problem, proposing instead a form of reflection more appropriate to the practical nature of the issue. David M. Holley is Professor of Philosophy and Chair of the Department of Philosophy and Religion at the University of Southern Mississippi. His previous book, Self-Interest and Beyond (1999), develops an account of the proper use and limits of self-interested thinking. His articles on topics in philosophy of religion, ethics, and moral psychology have appeared in numerous professional journals. Introduction: Does Anyone Actually Believe in God? 2 God of the Philosophers. 3 Reasons for Believing in God. 5 Belief As a Practical Issue. 8 Theistic and Naturalistic Morality. 9 Meaning and the Limits of Meaning. 10 Conviction, Doubt, and Humility.